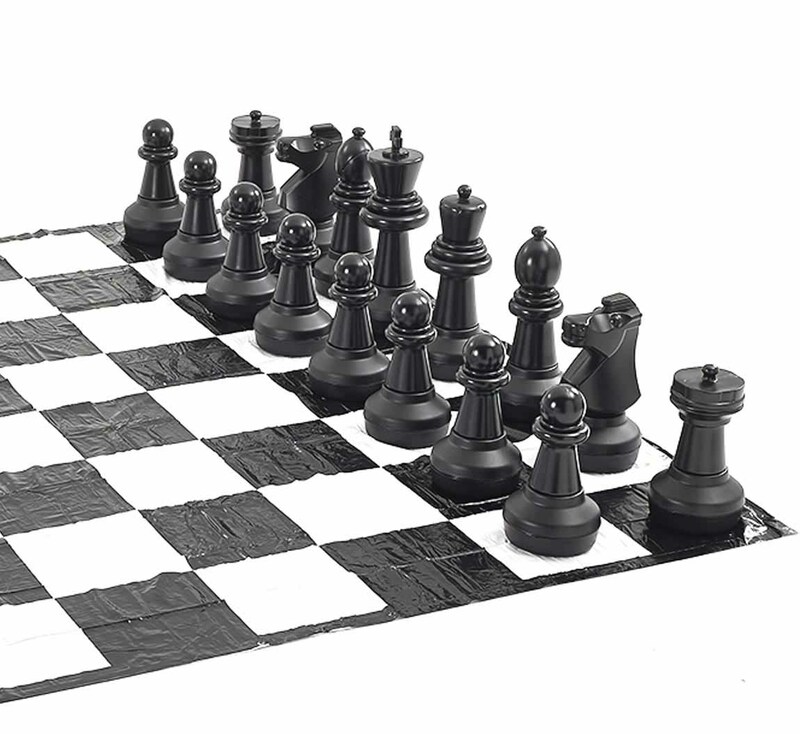 This package includes the very popular Garden Games Giant Chess Pieces and a strong PVC mat measuring 3m x 3m. Simply unfold the mat, set up your Giant Chess Pieces and youre ready to go. Ideal for hotels, pubs, schools and family parks. The chess pieces are made from UV treated blow moulded plastic meaning they are robust and their colour wont fade. If you already have a chess board or patio, the Giant Chess Pieces are available separately without the Mat. The giant pieces are a great centre piece for parties. Ideal for beginners and younger players as the pieces are easily distinguishable. Weather resistant so can be left outside all year round. All pieces can be weighted down with a sand / water mix.